On a weekly basis, we auto writer types in the office get weekly reports about what cars are most popular in terms of searches on our site. And for much of 2008, we were amused by reports for "Inside Line," our dedicated car enthusiast site. One phrase kept coming in as number one. It wasn't one of the expected ones like, "Nissan GT-R," "Bitchin' Camaro" or even "Danica Patrick." It was, believe it or not, "2009 Honda Fit." 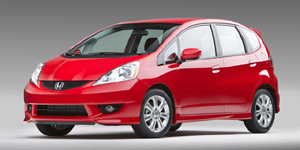 Find the used Honda Fit of your choice from a dealer in your area. Search our used car listings now.